The holiday season can be a magical and wonderful time of year. 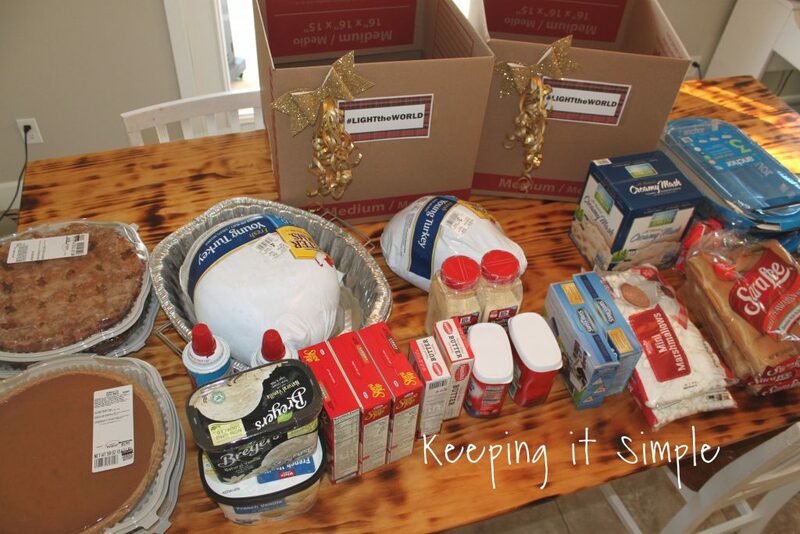 But for some, it can be a very stressful time of year too, especially for those people who are in need. Trying to make sure that the holidays are magical for your children when you are struggling to pay rent each month is a daunting task. So every year I try to serve others who are in need and every year I like to do it with my kids, to teach them how lucky they really are and to teach them how to serve others and how it makes you feel happy. With Thanksgiving and Christmas coming up, my mind went to the dinners that you cook for those holidays and how stressful it is with all the shopping and preparing. 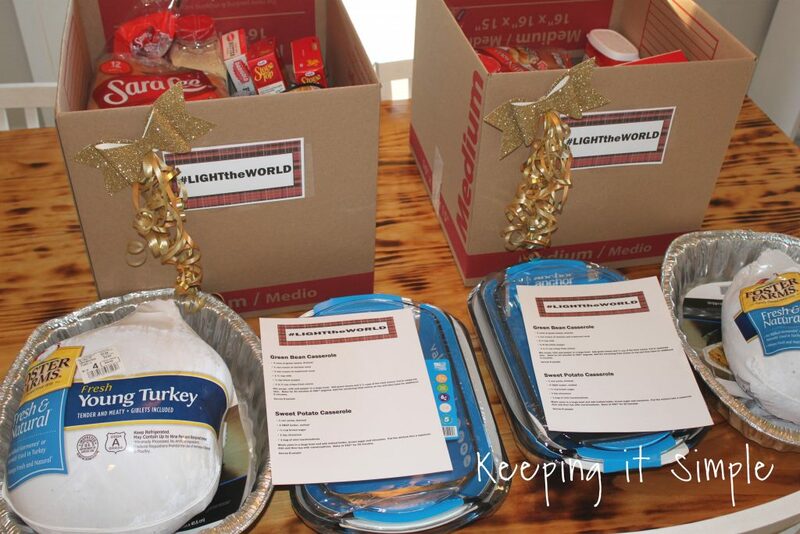 I had my family and then a few other kids from our church get together and make up these dinner kits for people who needed some extra love this holiday season. 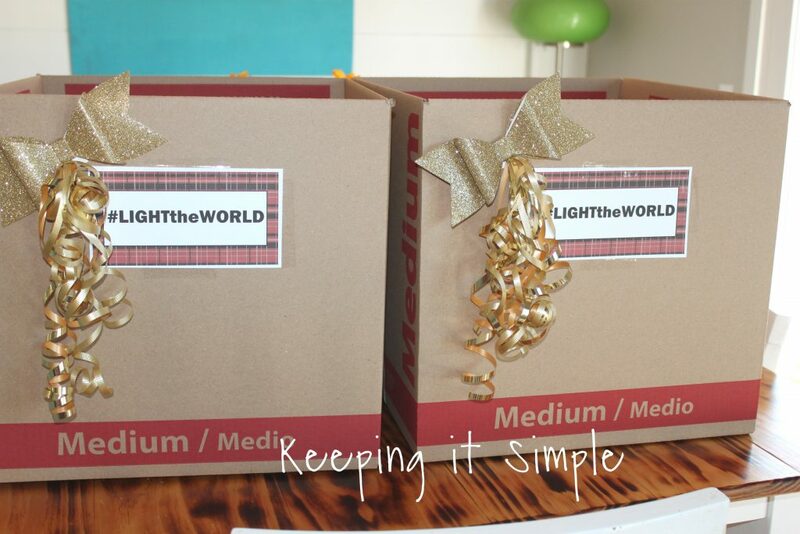 The LDS church has challenged everyone to #LIGHTtheWORLD this holiday season by serving others. There are 25 days in December before Christmas so there are 25 ways to serve others. 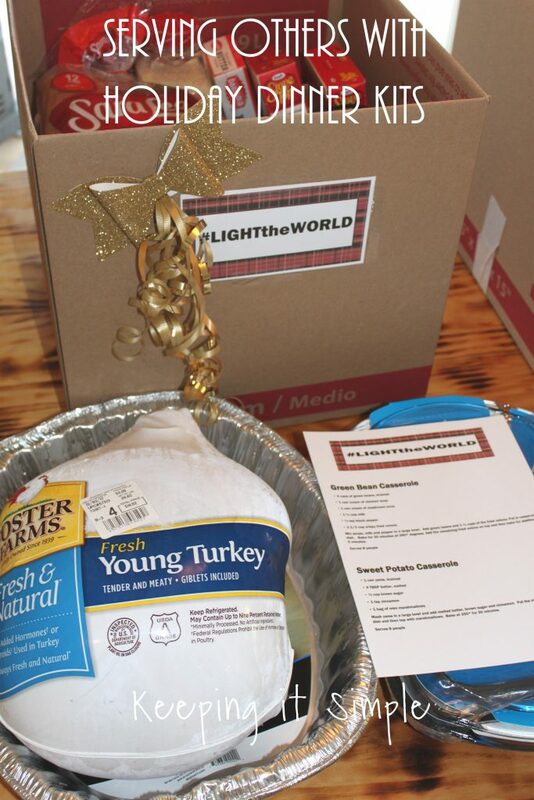 You can do simple things like bring someone cookies or you can do something big, like bring them Thanksgiving or Christmas dinner. Either way, the point is to get out there and serve. Feed the hungry is the theme I decided to focus on this year. 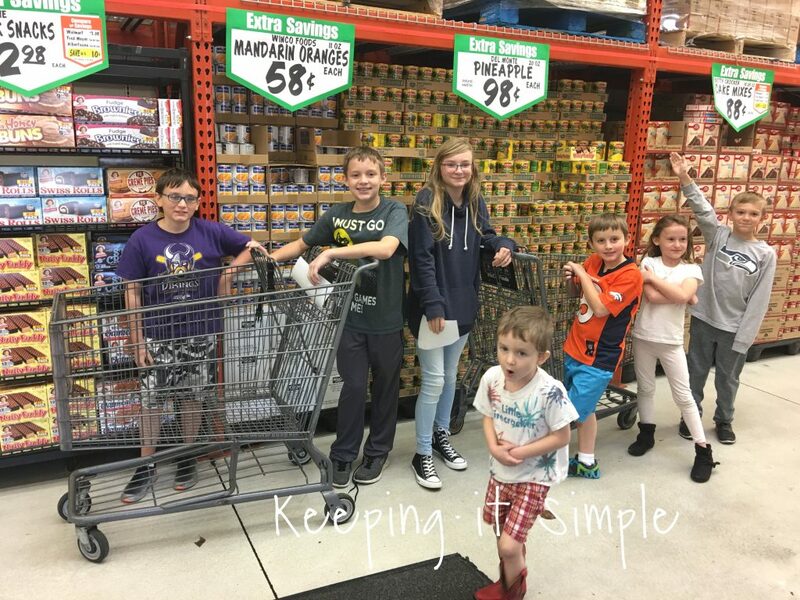 Kids don’t realize how much work (and money) goes into the holidays, so I wanted to get my kids and some other kids involved so they could get an idea of how much work it is to shop and get ready for the big holiday dinners (well they didn’t think it was work, they had a blast!). So before we headed to the store I got a detailed list of what we needed to buy for the dinners. 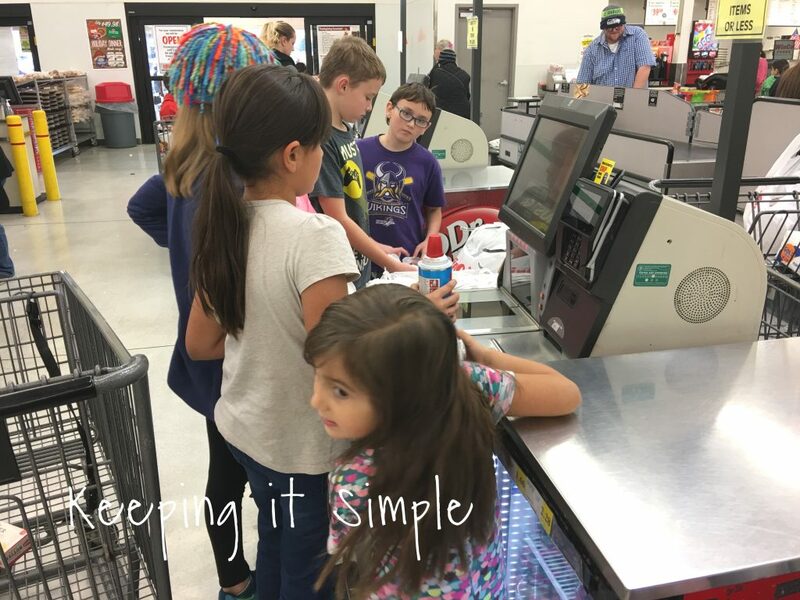 I had the kids separate into two groups (we were giving dinners to two families) and I let them go out and shop on their own. I helped when they needed it (because they didn’t know what yams are and things like that). 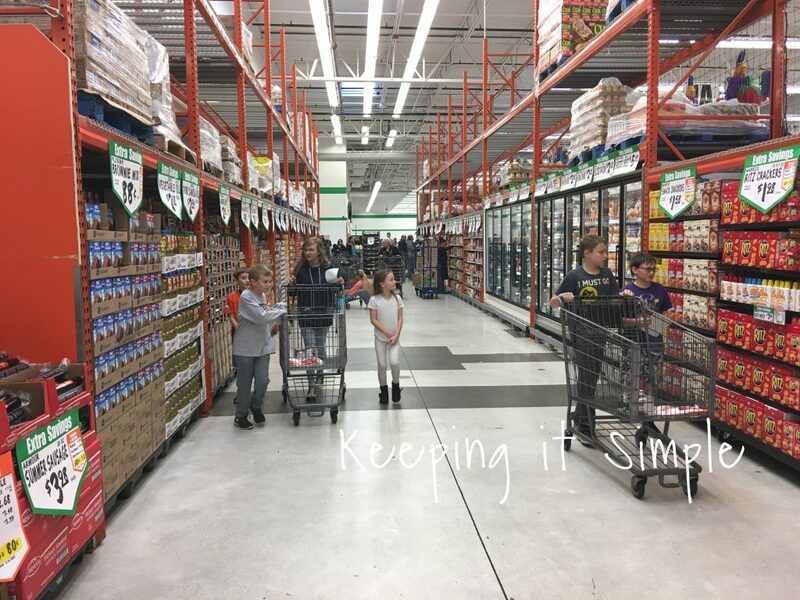 I was impressed by how good they did with the shopping. They all had a blast, I might have them do all my shopping ;). 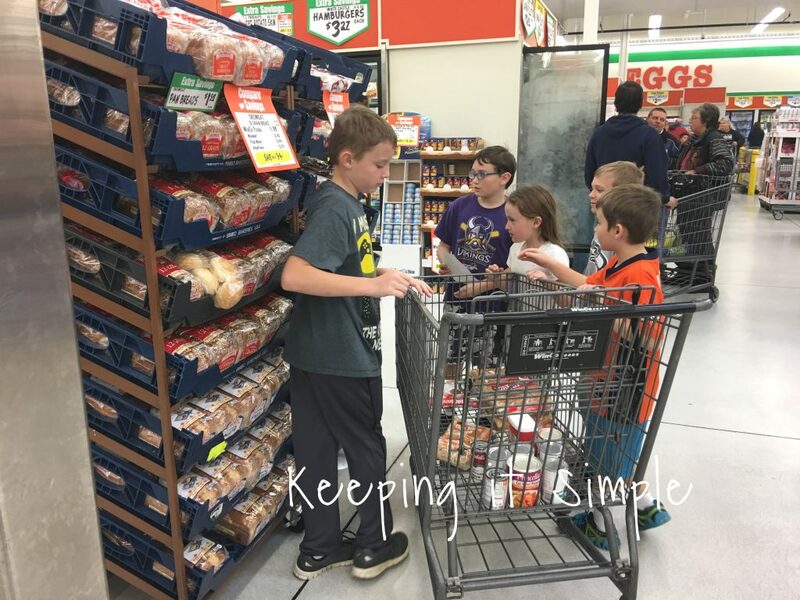 Once we were done shopping, I had the kids check out and bag the groceries and then load the groceries into my car and then into the house. I had the kids help separate the food into the two boxes. I made up a printable with the sweet potato casserole and green bean casserole recipes on it so I could put them into the boxes (just in case they don’t know how to cook those). 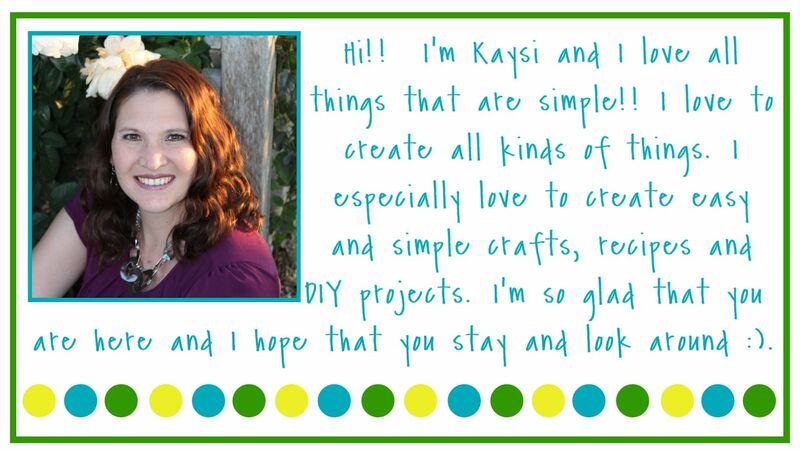 You can get the printable here. Here is the cute crew that helped out! They all had fun and were excited to help out and help the families! We gave the kits to a couple families and they were so happy to be getting food. It made us all feel good inside! Here is a fun video of our fun little event. 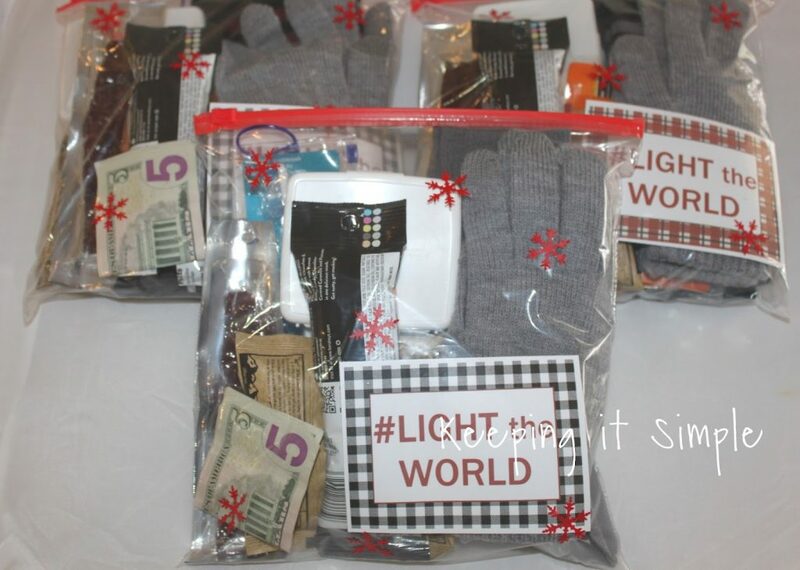 This is what my family and I did last year for #LIGHTtheWORLD, we made up these blessing bags. 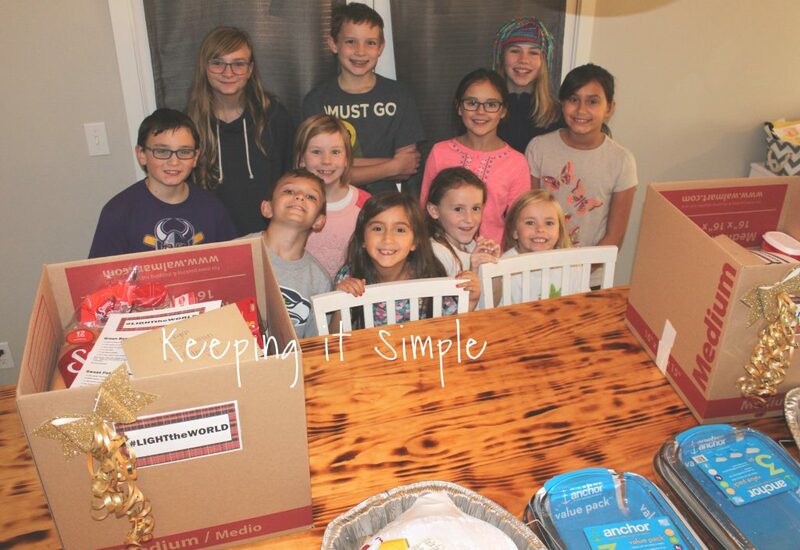 If you and your family have been wanting to do something for something this holiday season, make sure you check out the calendar on Mormon.org for some great ideas. Or you can search the #LIGHTtheWORLD hashtag to see what the world is doing to make it a better place!